How To Prevent iOS Apps from Spying On You Through The Phone's Camera? Online Business: Your Opportunity To Operate Inside Your Jammies! How To Prevent iOS Apps from Spying On You Through The Phone’s Camera? The iOS apps resting on your expensive piece of tech could be secretively sniffing photos, and more, without your consent. The possibility of an iOS app taking your photos or recording videos is always there when it requests to access the device camera. For instance, apps that offer in-app camera—like Facebook, Snapchat, Instagram, WhatsApp, Tinder—have the tendency to record stuff. However, we would never comment that such aforementioned apps would ever go aboard with taking stuff without your consent. But if they do, we won’t need an app to spy on Apple devices anymore. However, this goes for the sneakier apps having a jolty reputation. And yes, there could be many such apps on your iPhone/iPad, unknowingly. 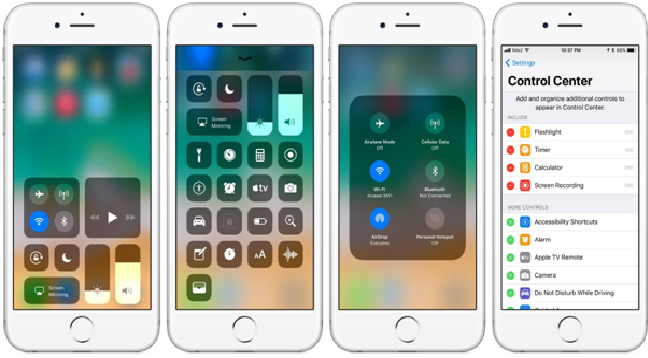 Security researcher Felix Krause confirms the claim that a flaw in the iOS privacy settings could mean a potential privacy violation. Putting it simply, iOS apps could easily collect more data than required without user’s knowledge. There are many apps that request camera access and we tend to acquiesce to it when we have to share a photo with our friend or change our profile picture. Surprisingly, we don’t even feel anything anomalous about it. Krause pointed out that apps which are capable of taking photos using device’s camera are capable of recording your activity even after you are done using the camera. And combined with iOS 11’s facial recognition technology, many apps can even read your expressions to study your behavior. But remember that Krause only referred to the possibility of an abuse if such apps indulge in nefarious activities. He suggests for changes in the app permission functions and also introducing an LED indicator in iOS 11 for the camera just like Apple has it on their laptops for the camera status. It’s pretty simple. Never use the in-app camera. If you have to upload a photo or share one with your friend, you could do by first using the phone’s camera—outside an app—and then uploading it from the Camera Roll. You will be giving the app access to the photo library but not the camera. This way, it won’t turn into an app to spy on Apple devices. Of course, this is a trade-off. Your photos could sometimes more information than what an app could take using the camera. Like, photos that are geotagged could mean you are also sharing your location data. Make sure that you only keep the necessary stuff in the photo library and prevent geotagging photos. You can also disable geotagging in your smartphone if you want to. There’s no need to put a tape on your smartphone, ROFL! A much friendlier solution is to change the settings on your iOS device. Simply write ‘Privacy’ in the Settings’ search bar and select Camera from the proceeding screen. There, you can toggle off the permissions to the apps according to your preference! And remember, apps to spy on Apple devices are also getting into the game; make sure to have an antivirus setup on your phone all the time.